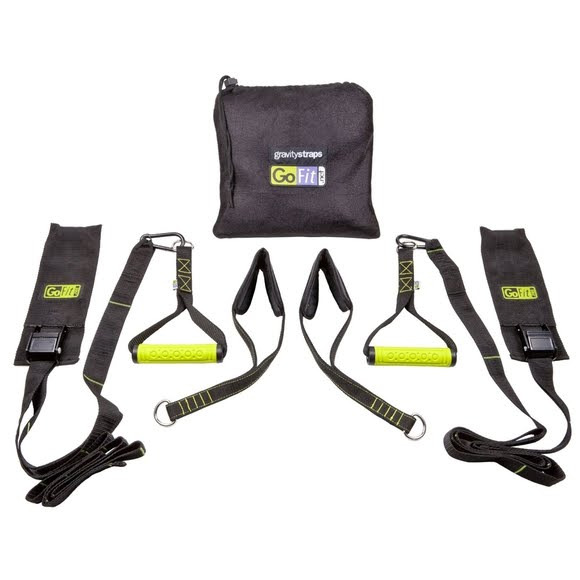 The GoFit Gravity Straps harness your body weight, making it all the resistance you need for a variety of total-body exercises. This ideal fitness tool installs into your doorway in seconds with no hardware, offering a super effective workout that's ultra convenient to use at home and when traveling. Build strength, increase your balance and gain core stability for a better lifestyle. The GoFit Gravity Straps harness your body weight, making it all the resistance you need for a variety of total-body exercises. This ideal fitness tool installs into your doorway in seconds with no hardware, offering a super effective workout that&apos;s ultra convenient to use at home and when traveling. Build strength, increase your balance and gain core stability for a better lifestyle.